At Gain Audio our aim is to ensure the whole of your event runs smoothly from the initial planning to the the event conclusion. We can provide marquees, stages, lighting and sound systems to ensure your event is a complete success. We have a genuine passion for event organising and pride ourselves on both the service we deliver and the prices we charge. If you are part of an amateur sports club or organisation and looking to raise valuable funding, we will guide you through every step of the way to assist you and advise you on how to maximise on your event. We will happily come along and discuss your requirements for all kinds of events like outdoor festivals, beer festivals, weddings, band nights, concerts, firework displays and will make sure your special occasion goes off with a bang with our stage pyrotechnics and other great features. We always strive to make sure your guests are satisfied with all aspects of the event like sound, lighting and stage arrangements. If you require more information, please get in touch to discuss your event. “My name is Luke Goss and I am the events co-ordinator for Lakeland Leisure holiday park which is based in Cumbria and the lake district. On the 8th of July 2017 we hosted a music festival for 2000 people and we used Gain audio for all of stage, sound and arranging of Marquees. We could not of asked for a more safe, professional and personal service. Jamie and his team were so helpful and nothing was too much trouble, With this being my first festival which the team and myself arranged using Gain audio took a lot of pressure off of my shoulders with how organised and knowledgeable they were in their service. The event itself went without a hitch and with having a huge 9 acts to get through and with a time scale to keep to the team had everything arrange to the minute, speedy getting acts on and off stage, quick sound checks and all the time in a calm nature. Many acts who came off of the stage commented to myself how great the sound was and how they wished they could work with the sound engineers every week! The stage was a fantastic size and the Marquees were a great size and strong and sturdy. The festival is now an annual event and Gain audio will be the only company I will now use for this. I was able to enjoy the event myself knowing everything was in the hands of true professionals! “Bourne Leisure is one of the largest providers of holidays and holiday home ownership in the UK. Our brands (Haven, Butlins and Warner Leisure Hotels) are amongst the most recognised within the UK holiday market, and we own and operate leisure assets on 6,500 acres of some of the best real estate in the country. Over 4 million families come on holiday at one of our parks, resorts or hotels every year and we aim to give our guests an exceptional experience. 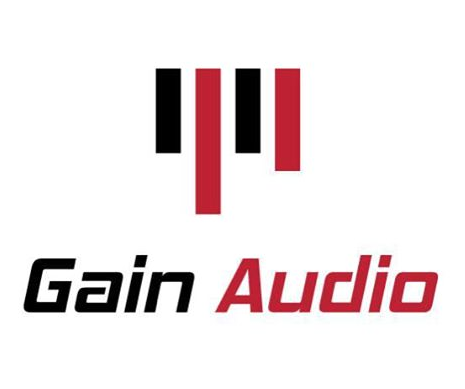 This is our second time working with the Gain Audio team and we certainly plan to use them again in the future, as I genuinely don’t know what we would do without them. They are a highly professional team who really try hard to make sure everything they do is safe and secure. Jamie is incredibly loyal and trustworthy and although at first I was taken back by his laid back approach, his time management and organisational skills are second to none. Their work is of incredibly high standards and I would recommend them to anyone who is after a first class service.